Manna Treatment is now CARF accredited! After 18 months of hard preparation, we had our site visit on December 4th-5th, 2017, and passed quickly and with flying colors! What does this mean? We are working on getting on insurance panels and all of our staff will be accepting your insurance. This includes our PHP, IOP, and Outpatient programs! We will be listing the insurances as we are accepted to the panels. New Groups Starting: Click here for more information! 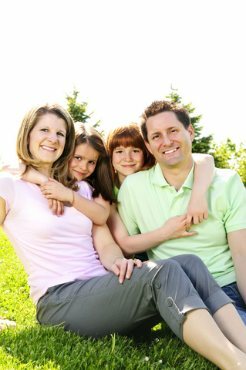 As a general psychotherapy practice located in the northeast corner of the greater Atlanta area, we specialize in the treatment of the family as a whole, including marital, couples, adolescent and childhood issues. 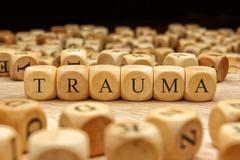 Issues addressed in counseling may include: depression, anxiety, grief and addiction. We also have a specialty in eating disorders, including anorexia nervosa, bulimia nervosa, and binge eating disorder for all populations. We utilize principles based in Christianity in the therapeutic process. Nutrition therapy services include weight management, medical nutrition therapy, and improving lifestyle behaviors. Group therapy for eating disorders and weight management is also available. Manna Treatment has come underneath the umbrella of our nonprofit, Manna Fund. We decided to do this in order to expand our scope of services for those with eating disorders - a Partial Hospitalization program as well as an Intensive Outpatient program. The mission statement of Manna Treatment is: To provide treatment for those with eating disorders at the Partial Hospitalization, Intensive Outpatient, and Outpatient levels of care, utilizing multiple sources of revenue, for as long as the client needs such treatment. 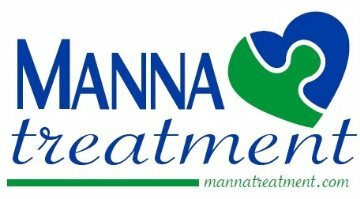 Manna Treatment desires to support the client from surviving to thriving to leading. Manna Treatment was founded on Biblical principles. It is designed to be a safe environment where individuals struggling with family issues and eating disorders can process their feelings, learn new ways of coping, and facilitate change. In the Bible, "manna" literally means "What is it?" It was in reference to the food supplied by God to the Israelites when they were in the desert for forty years (Ex. 16:15-35). Therefore, Manna Treatment was designed to replace the "addictive process" of eating disorders with the true Manna, which is Christ himself. We encourage individuals to seek Him in each and every aspect of life, especially in how they use eating (and other addictive, ineffective coping skills) to resolve what only He can. It is the policy of Manna Treatment to provide equal employment opportunity (EEO) to all persons regardless of age, race, religion, gender, status with regard to public assistance, veteran status, or any other characteristic protected by federal, state or local law.